This invitation features the birthday child as Queen Elsa in two different styles. 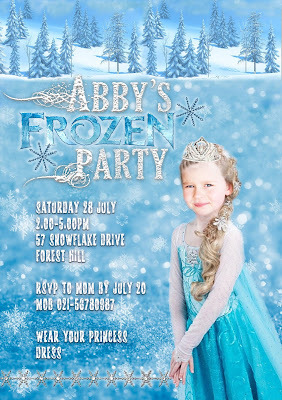 I personalise this invitation with your party details and your child's photo, turning her into Queen Elsa from "Frozen", in whichever style you choose. 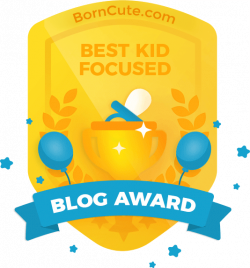 ***BONUS FREE PRINTABLE*** With this design you will also receive free Printable Water Bottle labels ("Melted Snowflakes") and Snowflake design "For You" printable favor or gift tags. 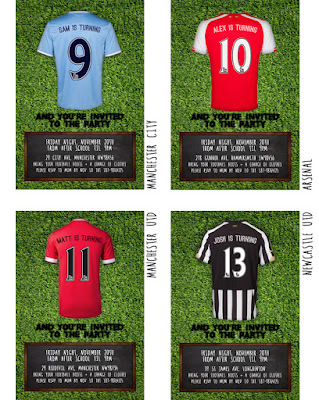 For the football fans! 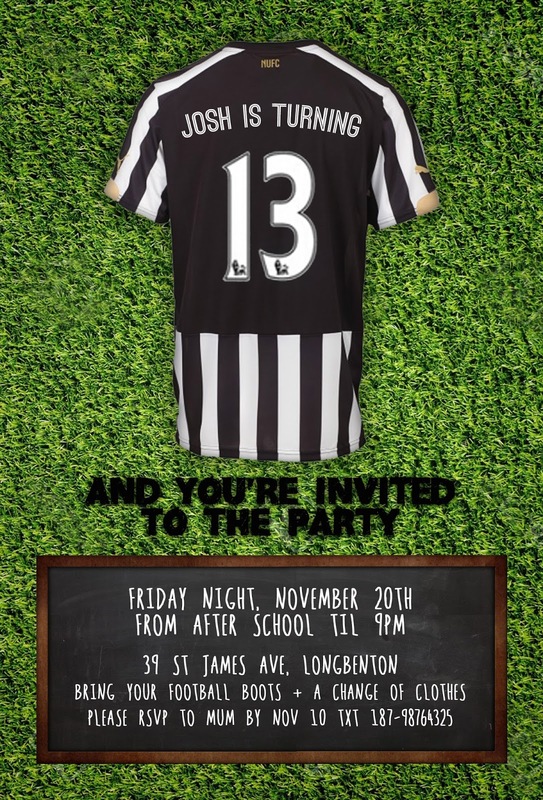 This invitation features the birthday child's favourite football team kit, displaying their name and the age they are turning as if on the back of the team kit. 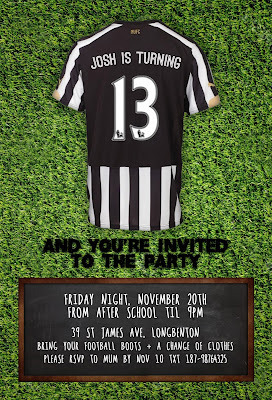 I personalise this invitation with your party details and your child's name and age on their team shirt. 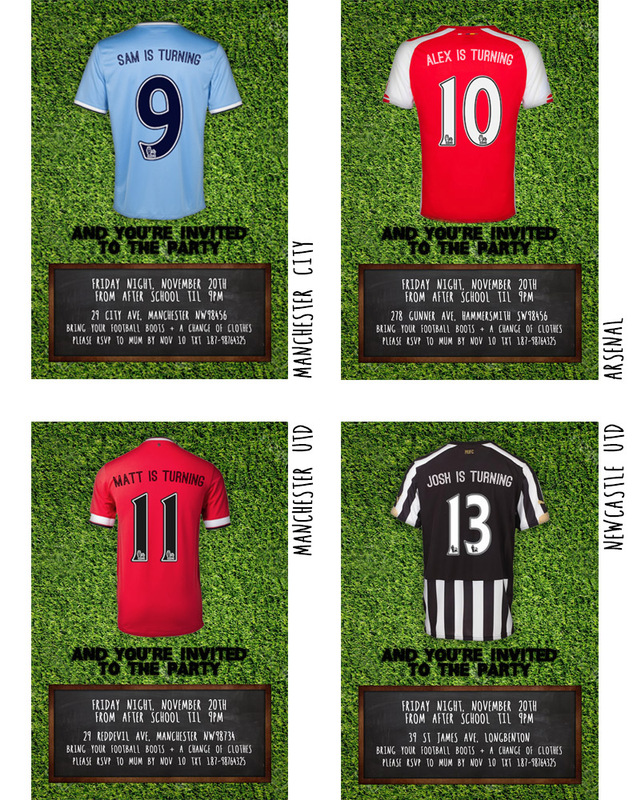 More styles available than what is pictured; other teams available upon request! 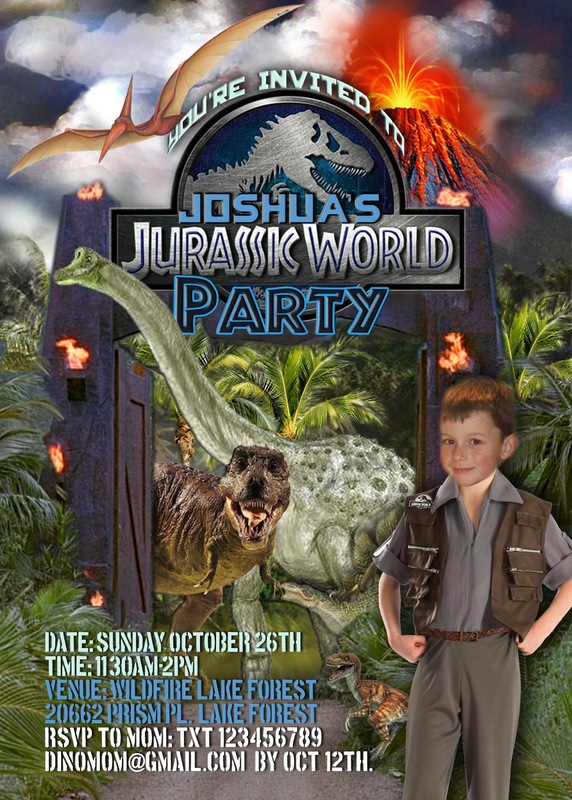 I personalise this invitation with your child's photo, turning him into a Jurassic World park ranger (or their favourite dino). 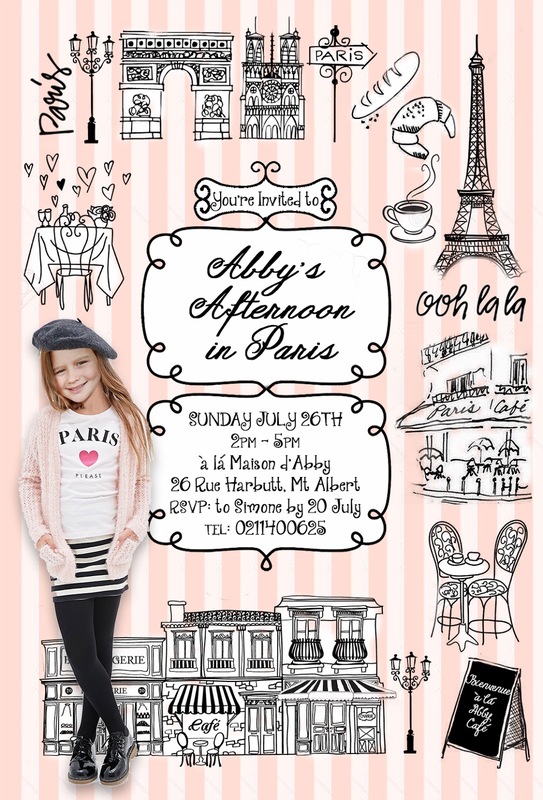 This invitation is perfect for a Paris-themed party or afternoon tea and Francophiles of all ages. 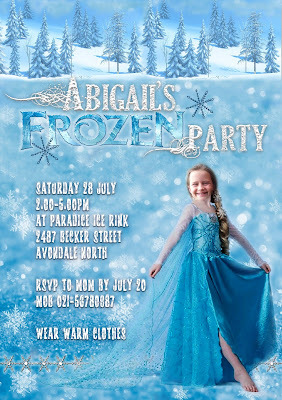 I personalise this invitation with your child's photo, turning her Paris-chic. 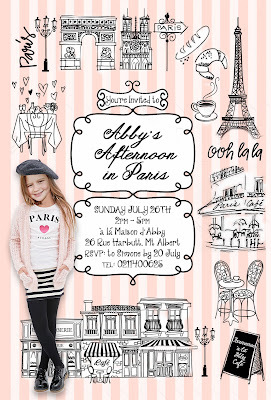 ***BONUS FREE PRINTABLES*** Vintage pink-and-black cupcake wraps and thank you tags to match your Paris theme. This invitation is perfect for ninja turtles and TMNT fans of all ages. 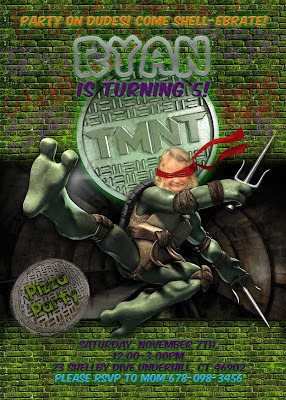 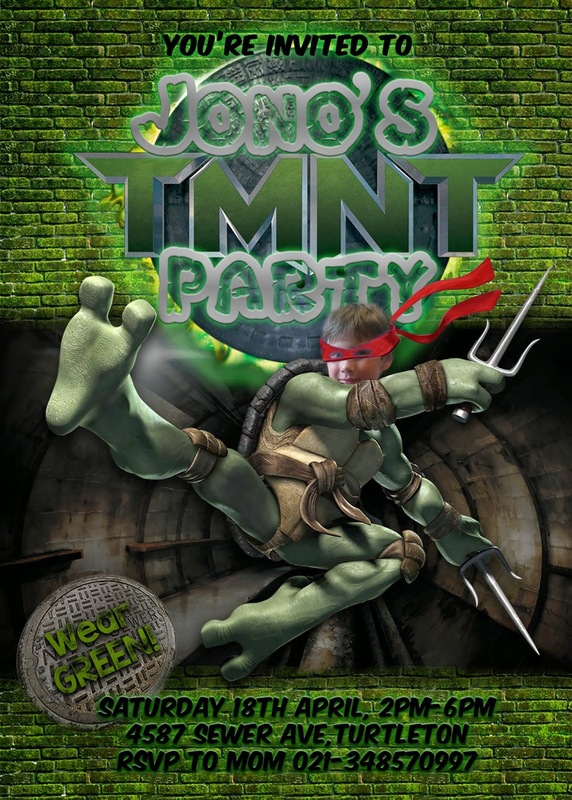 I personalise this invitation, turning your child into a Ninja turtle. 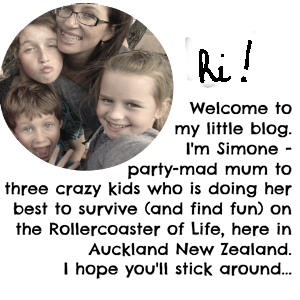 ***BONUS FREE PRINTABLES*** "Sewer water" bottle labels - replace your water bottle labels with these matching party themed ones. 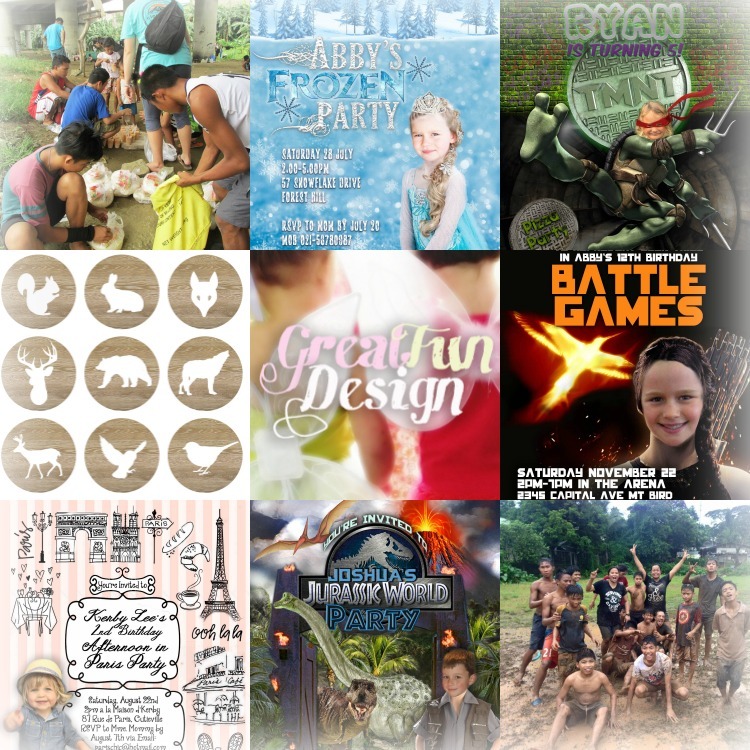 Also, have you met my newish HUNGER GAMES-ish design? 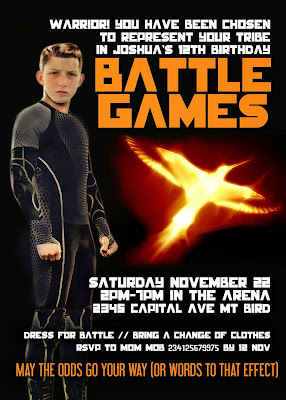 This invitation is in the style of the popular "Hunger Games" movies but I have had to subtley change it from my original design (as the HG legal people complained to Etsy and they de-activated my listing, which they do to ANYONE who dares to sell useful HG party themed stuff! 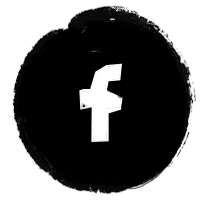 So many listings deactivated!!). The title is "BATTLE GAMES" but you can change it along with the other wording once you place the order. 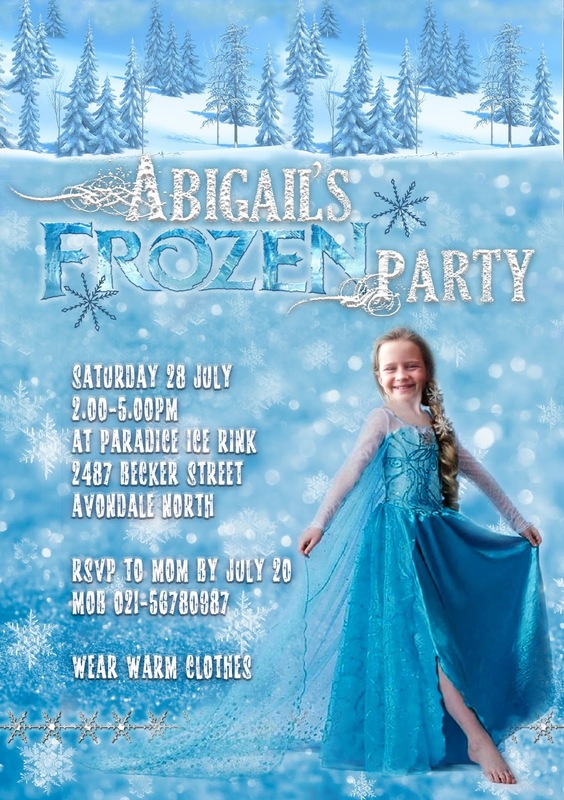 There are two styles to choose from (one for boys, one for girls). I personalise this invitation with your child's photo, turning him or her into a Katniss/Peeta lookalike. 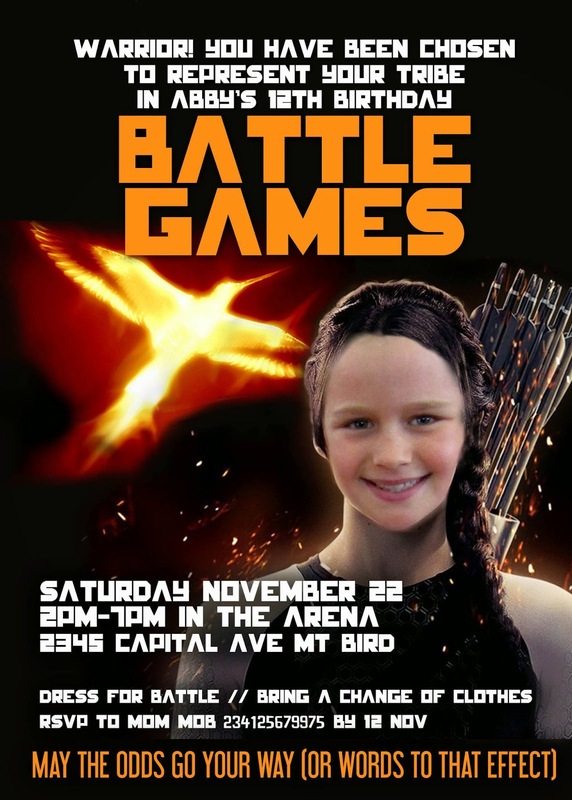 ***BONUS FREE PRINTABLES*** Printable Capitol water bottle labels and "Reaping" slips for each district. 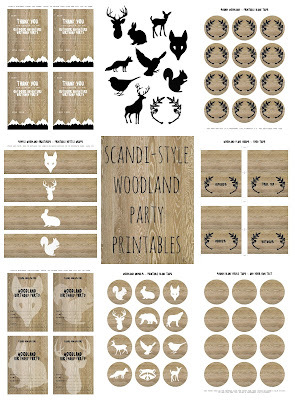 There are three different collections you can mix and match, which are available for instant download at a very low price. 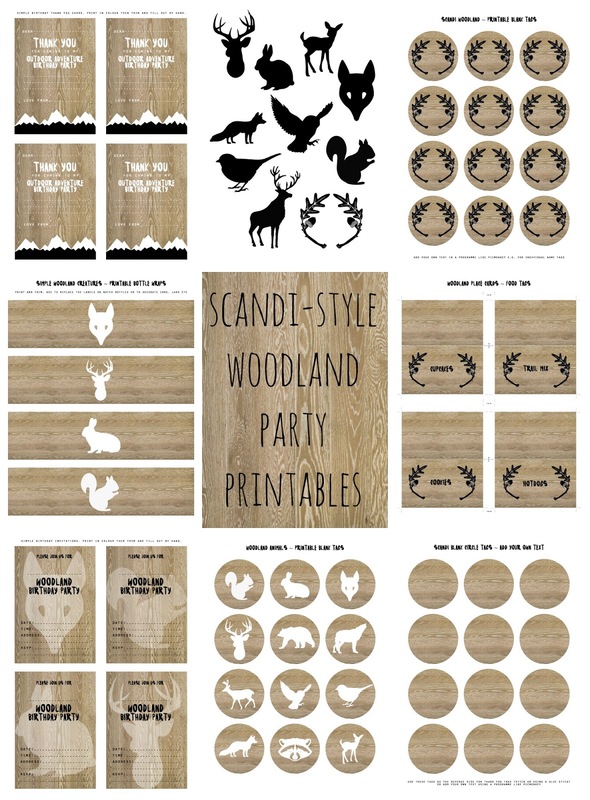 They include: place cards, labels and gift tags, invitations, bottle wraps and more.